Hint: If you need an Adapter for UK instead of EU, please inform us after you ordered an Iontophoresis Machine. The Saalio® unit facilitates direct current and pulsed current in one unit. The user can adjust current type as well as length of therapy, current strength and the direction of current. The intelligent software avoids large current fluctuations and thus protects the user from the so-called electric fence effect. With its large graphic display and its intuitive control panel, the unit offers every possibility for an individual and always transparent therapy monitoring. Since current is not visible, the user can determine on a bar display at any time if and how much current is flowing at any given time. This bolsters security and confidence. With this in mind, Saalio® also avoids any open electrical supply terminals. Compared to the usual metal electrodes, silicone electrodes are more suitable, particularly for users allergic to nickel and chrome. 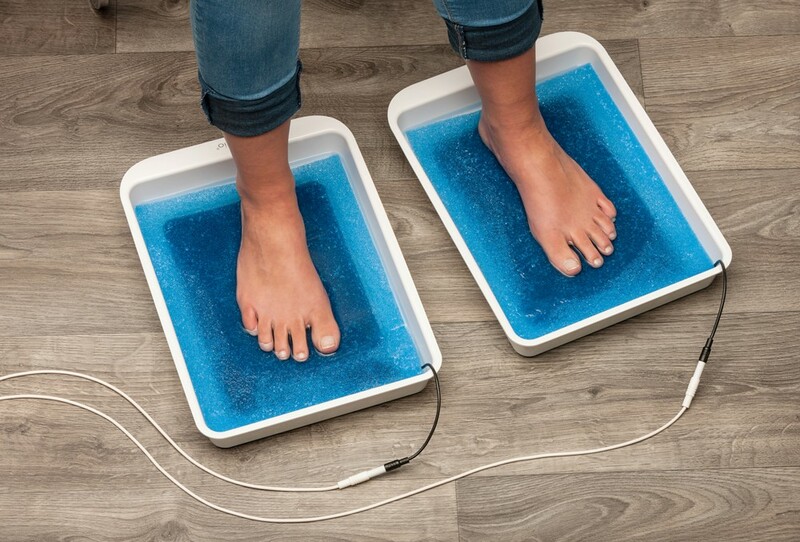 Especially for the simultaneous treatment of hands and feet, the extensive basin electrodes offer a uniform current surface. Soft and open-pored foam inserts as well as ergonomically shaped basins with arm rests complement the Saalio® unit. The soft silicone electrodes for the axels* (accessory) ergonomically adjust to the armpits, ensuring that the according skin areas are uniformly treated. The scope of delivery also includes a tear-resistant, breathable textile bag to safely store the stacked basins with control unit and accessories. This allows any residual moisture to easily escape after a treatment session. 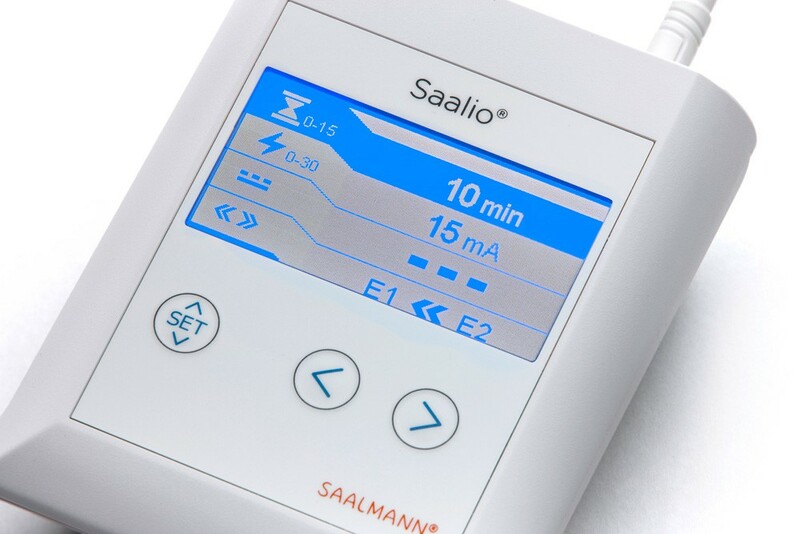 Please help other customers and rate Saalio® DE-Set – Iontophoresis against Excessive Sweating on Hands and Feet (Direct and Pulsed Current). Your rating will be published anonymized. 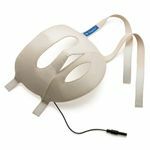 Accessory for Saalio® Iontophoresis against sweating under the armpits. 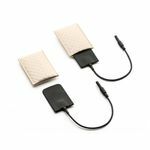 Ergonomically shaped sponge bags with innovative electrodes made of comfortable silicone.